With help from a fellow scholar, Julie set up a public policy internship with a regional municipal council on the northeast coast of New Zealand. She analyzed permit data to inform the development of a freshwater management plan and identified policy options to improve water quality. She also took the opportunity to learn about indigenous Maori culture, customs and language. 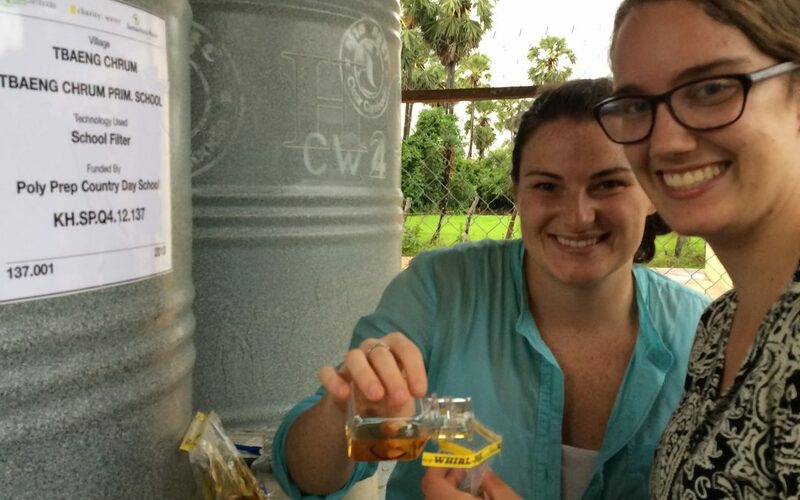 Julie spent her second summer in Southeast Asia, helping the NGO Clear Cambodia evaluate the effectiveness of biosand filters and train local staff. For this community development internship, Julie worked closely with Marin Macleod (Young Fund Loran Scholar ’09) and Ray Cantwell (Scotiabank Loran Scholar ’98), regional manager of the Samaritan’s Purse water program. For her enterprise summer, Julie interned with Golder Associates in their Vancouver office. She assisted coastal and surface water consultants with their projects, created wave scenario models and conducted fieldwork in Prince Rupert and Kitimat. The combination of summer experiences helped her understand how to use her engineering skills to solve technical challenges while focusing on the broader context.